Pihichyn, Peter [Петро Пігічин] – newspaper editor, publisher, writer; born on 29 September 1918 in the village of Vilkhovets (Berezhany raion, Ternopil oblast, Ukraine; at that time – Berezhany county, Austrian crown land of Galicia); died on 9 September 1995 in the district municipality of Sechelt, British Columbia, Canada. In 1937 Pihichyn completed his gymnasium secondary school education in Berezhany. From 1938 he worked in the editorial office of the journal Na perelomi in Lviv. At the outbreak of the Second World War he returned to Vilkhovets. In November 1939 he was arrested by the Soviet authorities for membership of the Organisation of Ukrainian Nationalists and subsequently sentenced to 8 years’ hard labour in Siberia. In 1941 he was released and in the following year he joined the Polish army formed in the USSR after the German invasion of the Soviet Union. After the army was moved to Iran, Pihichyn volunteered for training with the Polish Air Force in the UK. From 1944 he took part in air raids over Germany. After the war Pihichyn joined the Association of Ukrainian Soldiers in the Polish Armed Forces (forerunner of the Association of Ukrainians in Great Britain) and in November 1945 became editor of its bulletin, Nash Klych (renamed Ukrainska Dumka in January 1947). 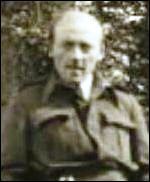 From 1945 he was also active in the emerging OUN(B) network in the UK and became a member of its UK leadership. He helped to run the Ukrainian Information Service which existed for several months in 1946 as an adjunct to the Central Ukrainian Relief Bureau. In July 1947 he ceased working for the Ukrainska Dumka. He became a co-editor of the Ukrainskyi Klych weekly newspaper, which was published from August 1947 to March 1948 on behalf of the OUN(B) by the Osnova Publishing Company (formed in London for this purpose). Later he established the private RK Printing and Publishing Company. Не compiled and published a number of guides to learning English for Ukrainians, as well as other publications. In 1951 he emigrated to Canada and settled in Winnipeg. He became co-editor and, from 1961 to 1967, chief editor of the Kanadiiskyi Farmer (Canadian Farmer) newspaper. In 1966-1969 he published the monthly Ukrainskyi Svit. In 1968 he moved to British Columbia and lived in Lillooet, Vancouver and Sechelt. In Vancouver he published the periodical Ukrainski Visti z-nad Patsyfiku. His publications include: Hamaliia: piesa iz kozatskykh chasiv v 4 diiakh (Hamaliia: A Cossack Play in 4 Acts; Berezhany 1938), Symon Petliura (London, 1947), Iliustrovanyi kalendar dlia vsikh na 1950 rik (1950 Illustrated Calendar for Everyone; London, 1949), Yak pysaty anhliiski lysty (How to Write Letters in English; London, 1949), Pershi kroky: pidruchnyk do nauky anhliiskoi movy (First Steps: a Guide to Learning English, 1950). In the 1950-60s he translated into Ukrainian a number of works of Bahá'í literature. Oleskiw, V., "Korotkyi narys rozvytku 'Vyzvolnoho Shliakhu' i 'Ukrainskoi Vydavnychoi Spilky'" // Vyzvolnyi Shliakh, 1962, no.4-5, 516-528.